There are countless web hosting companies that you can sign up with to host your website. As a LearnWP student, you are free to sign up with the host of your choice. The rapid growth of WordPress gave birth to a new type of web hosting provider, one that specializes in hosting only WordPress websites. This is known as WordPress Managed Hosting. We recommend that workshop participants purchase WordPress Managed Hosting instead of cheap Shared Hosting. On managed hosting, the servers have been built specifically for WordPress websites, this means your website will be faster and more secure. And customer service is great too. One thing to know is that these WordPress Managed Hosts don’t offer domain registration or email hosting — you’ll have to setup email address from your domain registrar. For an easy start, we provide 1-click installer and free transfer. With SiteGround you’ll enjoy WordPress managed auto-updates. You may wish to choose the GoGeek plan for the one-click WP Staging feature so you can easily clone your site to a development space. Get started here. LearnWP students get your first 2 months free using this Flywheel link. Sign up using the code ‘learnwp’ and you’ll get two months free. Flywheel is a WordPress Managed Hosting option. You get all the benefits of WordPress managed hosting at a slightly lower cost. With Flywheel, you can also sign up for 2 weeks without paying so you can test drive their product. This is the easiest and fastest way for you to create a development space. Just sign up and you’ll have WordPress development space ready to go. Follow the instructions for Flywheel here. We are fans of WPEngine — this is the host we use. 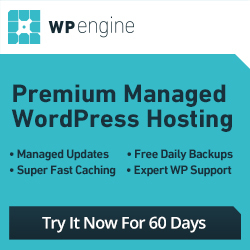 WPEngine only hosts WordPress so they’ve optimized their servers to deliver the best possible WordPress experience. With WPEngine your website will be fast and secure. You can signup here using our affiliate credit, WordPress is automatically installed for you. They are more expensive than many hosts but we believe their superior service, and tech support is worth it. I feel much more confident in my WordPress skills and will be more likely to go out and test things out when developing a new site or fixing a very old site. Thank you so much for sharing your expertise and experiences! Ruth and Dawn do an excellent job of explaining how the new WordPress editor, Gutenberg, works. The structure of what they cover allows us to learn the most used, and most important, aspects first, and keep building on that learning. The presentation with the instructions and explanations really helps and I’m counting on using the slides as I update my sites. LearnWP provides a great introduction to WordPress blogging. Ruth and Dawn are both knowledgeable and caring instructors who do their best to make the process convenient for participants.